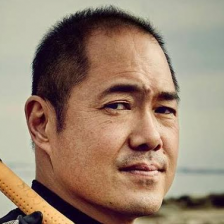 Bill Tai is Co-founder & Chairman of Treasure Data, and a lead seed investor in Canva, Color Genomics, Tweetdeck (Twitter), Wish.com and Zoom Video. Originally a computer chip designer (BSEE, Honors, Illinois), he joined LSI Logic, a seminal Silicon Valley startup formed by the CEO of Fairchild Semiconductor, then completed an MBA at Harvard. He was issued badge #A001 at TSMC (NYSE:TSM), now among the most valuable tech companies in the world. Later he served as Founding Chairman & CEO of iAsiaWorks (IPO via Goldman Sachs & Morgan Stanley) and Founding Chairman of IPinfusion (Tokyo:4813). He has served as Board Director of 8 publicly listed companies that grew from his venture investment activity (AWRD EGHT HUT8 IAWK NPIX TMTA TUNE and IMGO). He is a Board Director at BitFury, Chairing the Strategy Committee, and Board Chairman of Hut8, North America’s largest publicly listed Cryptocurrency miner. Bill is a VC backer of Cryptokitties, holds the official title of “Yoda” for Fluidity / AIRSWAP, is an Ambassador / Board Advisor to P2P Energy Company Power Ledger. He is an Adjunct Professor of Innovation and founder of 501(c)3 ACTAI Global, a community of Athletes, Conservationists, Technologists, Artists and Innovators, committed to a better future for the world.